EVERYONE ar Grammazoo gets along! Rosemary!! Came to us as a fawn, and needed to be bottle fed and released when she was old eneough to fend for herself. 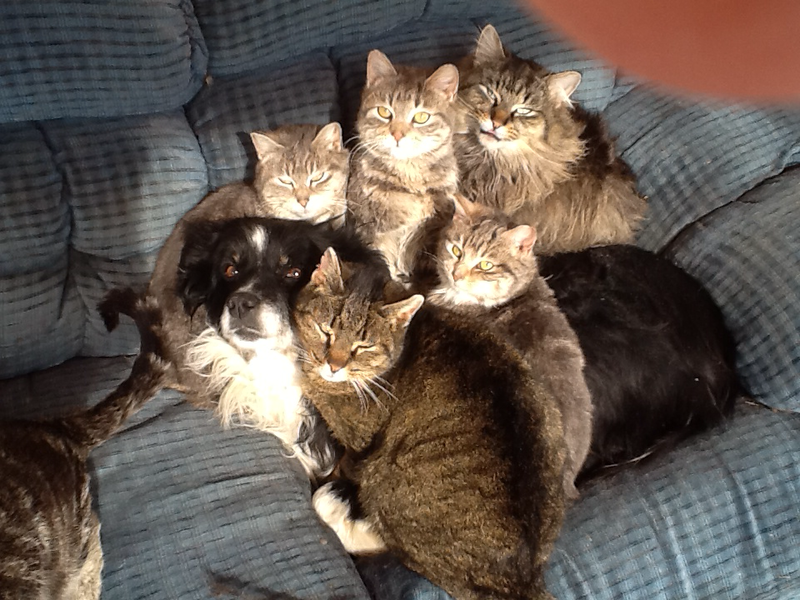 We have a wildlife rehabilitation permit and she had been with someone who had her illegally. She has learned to be afraid of things that will harm her and friends with the farm animals. 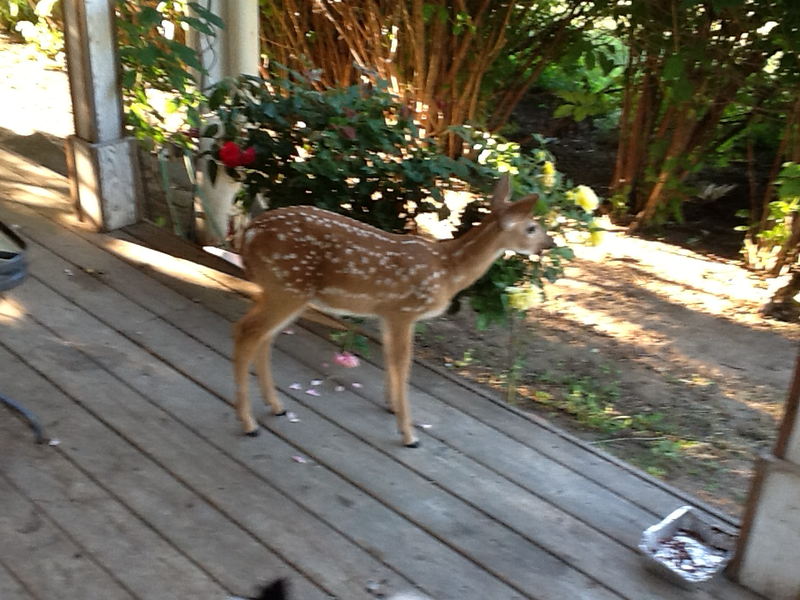 Learning to be a wild deer but the roses on the deck are too tempting! Sky visiting with Rosemary and trying to make her get up!! 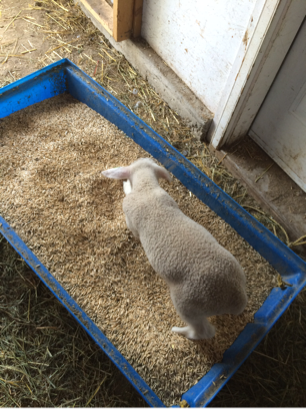 Lambie came to us as a bottle baby. He is everyone's friend! Miss Piggy loves to have a scratch behind her ear and a visit with anyone who takes an extra minute to say hello!